The National Memorial Arboretum is the UK’s year-round centre of Remembrance; a spiritually uplifting place which honours the fallen, recognises service and sacrifice, and fosters pride in our country. The Arboretum is part of The Royal British Legion family of charities and is set in the pleasant Staffordshire countryside between Litchfield and Burton-upon-Trent. Visitors enjoy a wide variety of trees, many of which have a relevance to the memorials around them. Planting started in 1997 and there are already over 50,000 trees planted over the 150 acre site. Conceived as a living tribute to the war time generations of the 20th Century, the Arboretum is a reminder for future generations to enjoy. But it is not only the service of soldiers that is recognised as there are numerous gardens acknowledging the sacrifice of the civil services and many more. Many people have commented that a visit to the Arboretum is both reflective and hugely uplifting. We hope that you can join us. Departing your local pick-up point approximately 9.00am, we shall have an extended lunch stop at Stratford upon Avon before continuing on to the hotel. Arriving late afternoon with time to relax and maybe take a swim before dinner. After breakfast we make the short trip to the National Memorial Arboretum where we shall stay until 3.30pm. There is no admission charge but donations will be gratefully accepted. 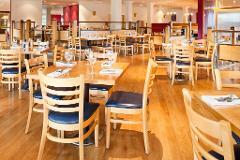 Lunch can be taken in the Arbour Restaurant. Returning back to the local area around 7.30pm with comfort stop on route. 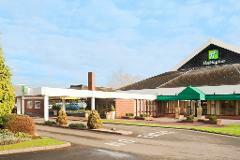 The Holiday Inn Birmingham is set in 7 acres of landscaped grounds and offers a very good standard of accommodation and facilities. All the bedrooms are comfortably furnished with en-suite shower/bath, Colour TV, hairdryer and complimentary tea & coffee.